Rev. 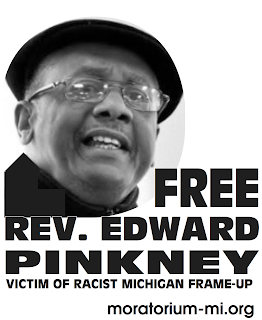 Pinkney needs our support NOW. Please don't wait until the trial is over before you get a letter to the Gov. Jennifer M.Granholm, P.O. Box 30013, Lansing, Michigan 48909, Phone: (517) 373-3400 or (517) 335-7858 (constituent), Fax: (517-335-6863 or email: http://www.michigan.gov/gov. YOU MUST LET HER KNOW TO GET THE JUDGE TO DROP THE CHARGES AND FREE REV. PINKNEY. We asked her when she was asking for our vote to get the charges drop on Rev. Pinkney and that the situation in Benton Harbor should be investigated. We have not heard from her. But Whirlpool and being the owner of the Benton Harbor Plantation. We must let her know that the jury is all white, any jury candidate that was poor could not afford to take the time out to be on the jury for two weeks and they were eliminated. The Judge has been locking the doors to the courtroom, once the trial begins. The Judge is the real proscutor and the proscutor is only the window dressing. We must get involved to protect Rev. Pinkney in order to protect ourselves. Call, write, email your congessional people in Washington, D.C., Representatives, Sentors and Governor in Michigan to get the charges dropped. 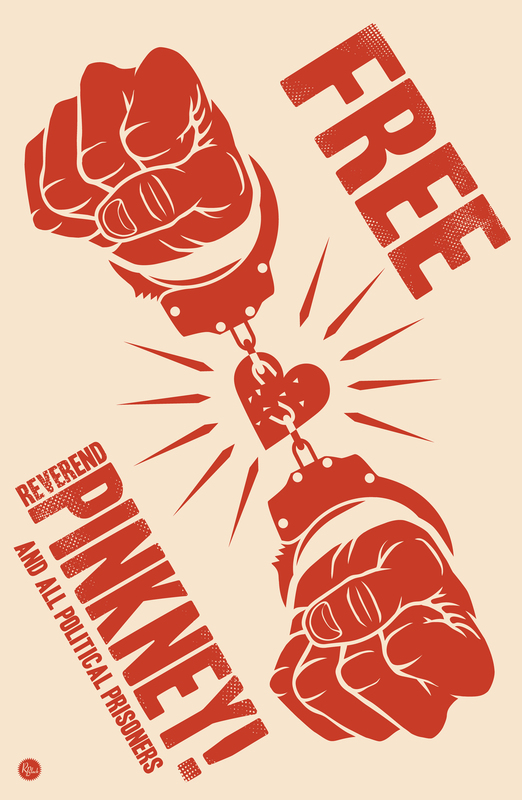 We need to get donations into BANCO to support the fight to free Rev. Pinkney. All Rev. Pinkney did was exercise his human rights through a "Recall Campaign" of one of the County Commissioners, who represents Whirlpool, the Benton Harbor Plantation. What is the next attack on our Human Rights? Please email your contacts and raise the situation in Benton Harbor. Let us hear you around the country, protesting the attack on Rev. Pinkney in Benton Harbor. Please get involved. When you help Rev. Pinkney, you are helping yourself.